This is hardly news, but is so awesome that it would criminal to let it go unposted. We've all written letters to someone famous when we were growing up. Whether is was a famous actor or actress, an athlete, or Santa Claus, somewhere in the world is a letter that went unanswered with a child's dream crushed with it. But what if those childhood heroes wrote back? One such hero is Pete Docter, who directed two of your favorite movies, Monsters, Inc. and Up. 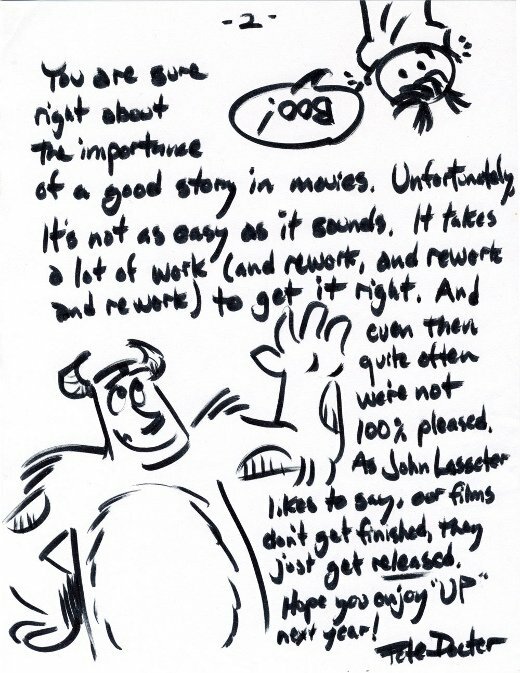 Two years ago, a young filmmaker with hopes of one day working for Pixar wrote to Docter, talking up how much he loved Monsters, Inc. and all the work the studio has done. He was only hoping for a signed photo of Docter in return, but instead got the most awesome thing he'll receive probably in his entire life. I'd have a heart attack if I got that in the mail. Seriously, what a nice guy he was for doing that. And now this Adam guy has something special that would be worth a fortune if he wanted to put it on Ebay, but will keep probably his whole life. 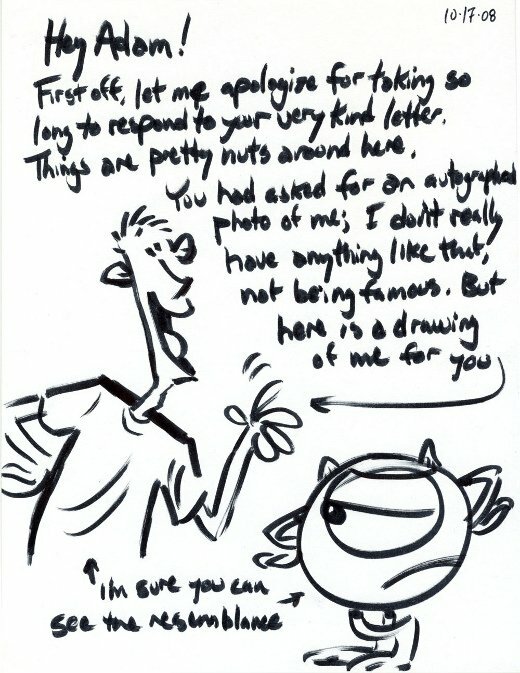 I kind of can't get over how cool this is, and if I ever meet Pete Docter I'd thank him for being an inspiration and an all-around awesome dude. If you liked Pixar before, you'll love them now.